Very striking, bronze, fine feathery leaves. Umbells of small yellow flowers in summer followed by aromatic edible seeds. Used in pork and fish dishes and a great addition to salads. Medicinal uses. Perennial. H:1m W:0.6m. 12cm, 17cm. A multi-branched herb with feather-like leaves and small yellow flowers borne on a large flat umbels in summer, followed by aromatic edible seeds. Used in pork and in fish dishes and a great addition to salads. Medicinal uses. Perennial. H:80cm W:80cm. 12cm, 17cm. 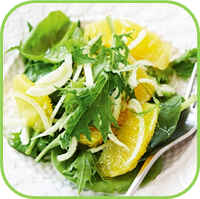 Fennel has a light licorice flavour, is crispy and a great addition to any salad. Can also be used when cooking as the sweetness of fennel increases when cooked. Fennel is very popular to Mediterranean cuisine, to flavour soups and fish sauce. • Perennial, Evergreen, Frost hardy. •± 1.5m; Spread: ±80 cm. • Flattened heads of tiny bright yellow flowers. 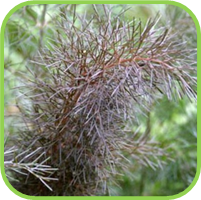 • A superior bronze fennel with a sweet, liquorice flavour. • Collect seed when ripe. • Host Plant for: Aphids. 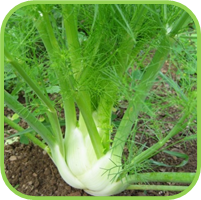 • The fleshy, white base of Florence Fennel is eaten raw or cooked. • Seed: Cold tea makes a refreshing facial rinse to help reduce wrinkles and tone the skin. • Use in facial steams and baths for deep cleansing. • External eyewash or compress for red-eye (conjunctivitis) and blepharitis (eye-lid inflammation). • Soften and sooth the skin. • Calming effect on bronchitis and coughs. • Mild appetite suppressant, Obesity. • Externally the oil eases mascular and rheumatic pains. 3-4 teaspoons to a teapot, add boiling water. Dose: Adults: half-1 cup; Infants: 2-3 teaspoons. Quarter to half a teaspoon to each cup boiling water, infuse for 15 minutes. Adults: Take 2-4ml three times per day. • Cucumber beetle, Mexican Bean beetle, Onion Maggot, Tomato Hornworm.